Arnoldo Rueda Medina (born 15 December 1969) is a former Mexican drug lord and high-ranking leader of La Familia Michoacana, a drug trafficking organization which is based in Michoacán, Mexico. Rueda Medina was allegedly in charge of operations under La Familia leaders Nazario Moreno González and José de Jesús Méndez Vargas, who are both on Mexico's most-wanted list of drug suspects. Rueda Medina was born on 15 December 1969 in the state of Michoacán, and first worked as a tortilla seller before deciding to start his criminal career by stealing automobiles in the year 2000. In 2004, he became the La Familia Michoacana's hitmen lieutenant responsible for tracking down cartel rivals and ordering gunmen to kill members of the Milenio Cartel, which had an alliance with the Sinaloa Cartel. He reportedly started working for the cartel in 2000, when the drug lords Carlos Rosales Mendoza, José de Jesús Méndez Vargas, and Nazario Moreno González were fighting against the Valencia brothers of the Milenio organization for the control of the smuggling routes in western Mexico. During the mid-2000s, Rosales Mendoza headed the cartel and aligned with the Gulf Cartel and Los Zetas to fight the Milenio Cartel. But after the arrests of Rosales Mendoza and of the Gulf Cartel leader Osiel Cárdenas Guillén, Rueda Medina's group broke relations with Los Zetas along with Méndez Vargas and Moreno González. By 2006, he was in charge of coordinating the cartel's narcotics fabrication and smuggling operations. He was also responsible for assigning regional leaders of the cartel, contacting international drug suppliers, and infiltrating several police forces where La Familia Michoacana held a stronghold. After six months of police intelligence, Rueda Medina was arrested on 11 July 2009 by elements of the Mexican Federal Police while he was arriving at his residence in the capital city of Morelia, Michoacán. Minutes later, a group of more than two dozen gunmen tossed fragmentation grenades and opened fire on the federal police offices where Rueda Medina was being held. Rueda Medina was then taken to Mexico City by dozens of policemen and soldiers. A few hours after Rueda's arrest, convoys of heavily armed gunmen ambushed federal forces across the western state of Michoacán. The gunmen tossed hand grenades and opened fire on police stations and at the hotel installations where the officers slept in six major Michoacan cities. There were also attacks in the states of Guerrero and Guanajuato. Five federal officers and two soldiers were killed that day, with ten federal policemen wounded by the reprisals. Two days later, on 13 July, La Familia gunmen continued the retaliation with an ambush to a police bus, killing 12 federal agents. The 11 men and one woman had been kidnapped, tortured, and killed while off-duty as a retaliation attack for the arrest of Rueda Medina. The killing of the agents, whose bodies were found along with a warning note, showed that La Familia Michoacana was eager to directly attack the Federal government of Mexico. Rueda has been convicted of multiple crimes and is being held at Penal del Altiplano, a maximum security prison. 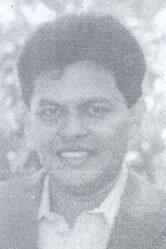 On 25 February 2010, the United States Department of the Treasury sanctioned Rueda Medina under the Foreign Narcotics Kingpin Designation Act (sometimes referred to simply as the "Kingpin Act"), for his involvement in drug trafficking along with twenty-one other international criminals and ten foreign entities. The act prohibited U.S. citizens and companies from doing any king of business activity with him, and virtually froze all his assets in the U.S.
^ a b "Gunmen launch deadly raids in central Mexico". MSNBC. The Associated Press. 11 July 2009. Archived from the original on 16 November 2012. Retrieved 16 November 2012. ^ "La Familia Michoacana – Leadership Chart" (PDF). United States Department of the Treasury. 15 April 2009. Archived from the original (PDF) on 10 March 2010. Retrieved 16 November 2012. ^ a b "El Minsa, brazo operativo de La Familia". Proceso (in Spanish). 13 July 2009. Archived from the original on 16 November 2012. Retrieved 16 November 2012. ^ Money and Finance: Treasury: Treasury, PT. 500-End, Revised as of July 1, 2010. United States Government Printing Office. 28 September 2010. p. 764. ISBN 0160860032. Retrieved 16 November 2012. ^ Riva Palacio, Raymundo (19 July 2009). "La Minsa: La voluntad de su Dios hizo que sobreviviera Rueda Medina" (PDF). Zócalo Saltillo (in Spanish). Archived (PDF) from the original on 16 November 2012. Retrieved 16 November 2012. ^ a b c "Arnoldo Rueda 'La Minsa', de robar carros a capo del narco". Terra Networks (in Spanish). 13 July 2009. Archived from the original on 16 November 2012. Retrieved 5 January 2017. ^ Malkin, Elizabeth (12 July 2009). "Mexico Posts Are Blitzed After Arrest in Drug War". The New York Times. Archived from the original on 16 November 2012. Retrieved 16 November 2012. ^ "Oleada de ataques en México". El Mundo (in Spanish). 12 July 2009. Archived from the original on 16 November 2012. Retrieved 16 November 2012. ^ a b Nájar, Alberto (12 July 2009). "Ofensiva narco en México". BBC Mundo (in Spanish). Archived from the original on 16 November 2012. Retrieved 16 November 2012. ^ "Mexican police, soldiers killed in multicity attacks by drug gang". CNN. Time Warner Company. 12 July 2009. Archived from the original on 16 November 2012. Retrieved 16 November 2012. ^ Sosa Cabios, Andrea (14 July 2009). "Bloody revenge in Mexico's drug war". Monsters and Critics. Archived from the original on 16 November 2012. Retrieved 16 November 2012. ^ Ellingwood, Ken (15 July 2009). "12 slain in Mexico were federal police officers". Los Angeles Times. Archived from the original on 17 February 2011. Retrieved 16 November 2012. ^ Leonard, Tom (19 July 2009). "Mexican police officers arrested over murder of federal agents". The Daily Telegraph. Archived from the original on 16 November 2012. Retrieved 16 November 2012. ^ Gómez, Francisco (4 September 2009). "Trasladan a La Minsa al penal del Altiplano". El Universal (in Spanish). Archived from the original on 16 November 2012. Retrieved 16 November 2012. ^ "DESIGNATIONS PURSUANT TO THE FOREIGN NARCOTICS KINGPIN DESIGNATION ACT" (PDF). United States Department of the Treasury. 15 May 2014. p. 10. Archived from the original (PDF) on 14 May 2013. Retrieved 28 May 2014. ^ "An overview of the Foreign Narcotics Kingpin Designation Act" (PDF). United States Department of the Treasury. 2009. p. 1. Archived from the original (PDF) on 28 May 2014. Retrieved 28 May 2014. Nazario Moreno González, commonly referred to by his alias El Chayo and/or El Más Loco, was a Mexican drug lord who headed La Familia Michoacana before heading the Knights Templar Cartel, a drug cartel headquartered in the state of Michoacán. He was one of Mexico's most-wanted drug lords. Jaime González Durán is a former Mexican drug lord who was one of the 31 original founding members and third-in-command of the criminal organization known as Los Zetas. A former Mexican Army elite soldier of the Grupo Aeromóvil de Fuerzas Especiales (GAFE), he was trained in counter-insurgency and locating and apprehending drug cartel members. He deserted in the late 1990s and was hired along with 30 other ex-soldiers by the Gulf Cartel leader, Osiel Cárdenas Guillen as his private enforcement army. Rafael Cedeño Hernández is an imprisoned Mexican drug trafficker who was a high-level leader of La Familia Michoacana, a drug cartel based in the Mexican state of Michoacán. He was the successor of Alberto Espinoza Barrón, a drug trafficker who was arrested on 31 December 2008 by the Mexican authorities. Alfredo Beltrán Leyva, commonly referred to by his alias El Mochomo, is a convicted Mexican drug lord and former leader of the Beltrán-Leyva Cartel, a drug trafficking organization. He was one of Mexico's most-wanted drug lords. Beltrán Leyva was responsible for smuggling multi-ton shipments of cocaine and methamphetamine to the United States from Mexico and South America between the 1990s and 2000s. He worked alongside his brothers Héctor, Carlos, and Arturo. Enrique Plancarte Solís was a Mexican drug lord and high-ranking leader of the Knights Templar Cartel, a drug cartel headquartered in the state of Michoacán. Prior to his tenure in the Knights Templar, he was a top leader of the split-off group La Familia Michoacana. Carlos Alberto Rosales Mendoza was a former Mexican drug lord who founded and led an organized crime syndicate called La Familia Michoacana. He was a close friend and associate of Osiel Cárdenas Guillén, the former leader of the Gulf Cartel. 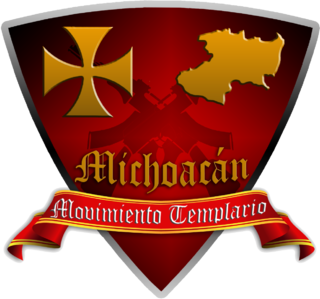 The Knights Templar Cartel is a Mexican criminal organization originally composed of the remnants La Familia Michoacana drug cartel based in the Mexican State of Michoacán. La Resistencia, also known as Cárteles Unidos is a Mexican criminal enforcer squad composed of well trained gunmen from the Sinaloa Cartel, Gulf Cartel and Knights Templar Cartel dedicated to killing or expelling the Los Zetas Cartel operatives from the states of Michoacán and Jalisco. Gustavo González Castro, commonly referred to by his alias "El Erótico", is a suspected Mexican drug lord and founding member of Los Zetas, a criminal organization originally formed by ex-commandos from the Mexican Armed Forces. He joined the Mexican Army as an infantry soldier in 1990, and ascended to the corporal unit five years later. By 1999, however, González Castro had resigned and began working for the Gulf Cartel and Los Zetas along with several former military men. Aurelio Cano Flores, commonly referred to by his aliases Yankee and/or Yeyo, is an imprisoned Mexican drug trafficker and former high-ranking leader of the Gulf Cartel, a Mexican drug trafficking organization. He is also a former member of the Federal Judicial Police in Tamaulipas. Nemesio Oseguera Cervantes, commonly referred to by his alias El Mencho, is a Mexican suspected drug lord and leader of the Jalisco New Generation Cartel (CJNG), a criminal group based in Jalisco. He is the most-wanted criminal in Mexico and one of the most-wanted in the U.S. Both governments are offering up to MXN$30 million and US$10 million, respectively, for information that leads to his arrest. 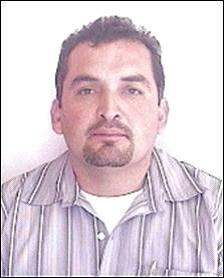 He is wanted for drug trafficking, organized crime involvement, and illegal possession of firearms. El Mencho is reportedly responsible for coordinating drug trafficking operations in the Americas, Europe, Asia, Africa, and Oceania. Under his command, the CJNG became one of Mexico's leading criminal organizations.